We want you to know what and how information is collected when you interact with us through the Website, our retail stores, our call centres, associated entities, service providers. We will take reasonable precautions to protect information we collect about you through our websites, retail stores, our call centres, associated entities, service providers through the use of secure technologies, in accordance with applicable law. We note that our websites and applications are available only to persons who can form a legally binding contract under the Indian Contract Act, 1872. If you are a minor i.e. under the age of 18 years, you may use our websites only with the involvement of a parent or guardian. The specific scope and mode of collection, use and disclosure of your data depends on whether you are visiting our Internet presence only for browsing the Site (e.g. for viewing the products we offer) or whether you are actually using specific services (e.g. if you order products). If you visit the Site for browsing only, we collect and use this data in non-personal form only. This is done to generally enable the use of the websites you visit as well as for statistical purposes and for improving our web presence and the services we provide there. such other information supplied by you and/or collected by us in the course of your dealings with us. to fulfil the requirements to satisfy statutory, regulatory and government requirements or to protect our interests. You can establish a Weber-ID on the Site for free. With a Weber-ID you have access to exclusive content on the Site (recipes, tips and tricks, etc. ), you can register your grill(s) and other products, maintain all relevant information for them (warranty, instructions), save products you are interested in, check order status, and otherwise have a central access for all data and services that Weber offers you. By submitting your personal data you accept the collection, use, processing and/or storing of the data by us. Again, while the provision of your personal data is voluntary, if you do not provide us with your personal data, we may not be able to provide you with the Weber-ID services. 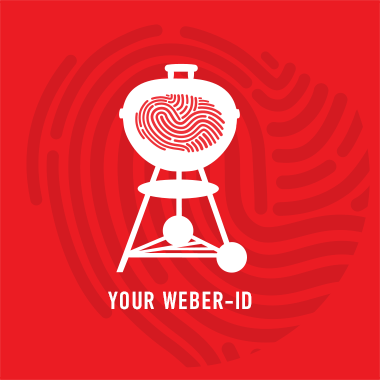 If you want your Weber-ID to be deleted, please contact us under SupportAsia@weberstephen.com . Upon receiving your request to delete your Weber-ID, all personal data relating to your Weber-ID in the database will be disposed immediately. We intend to use your name and contact information to contact you for advertising purposes. Your consent is required before we do so, and any use of your data for advertising purposes will be subject to your prior, express consent. To this extent, the data will be used to present you with information about new barbecue-related products and events in line with your interests, and about Weber. This includes information about the current or future product range (such as barbecues, equipment, accessories, consumables, lifestyle, etc. ), information on promotions and offers as well as about events and shows with the participation of Weber (e.g. courses or classes, seminars, trade fairs, unique, one-time events). This includes both digital advertising via email and advertising through the print media. You can revoke your consent at any time by email to SupportAsia@weberstephen.com or by following the instructions at the end of an advertising email. We may use “session cookies” (also called temporary cookies), i.e. cookies which are only stored for the time while you are using any of our websites, for certain aspects of browsing the Site. The purpose of these cookies is to identify your computer while you are visiting our Site, even while changing from one of our websites to another, and to determine the end of your visit. The cookies are deleted as soon as you have closed your browser session. On the Site we also use tracking and targeting cookies that monitor the user’s behavior. For that purpose we only use so-called First-Party cookies, i.e. these cookies will not be made available by your browser to other domains than the Site. You can also prevent the collection and recording of the data pertaining to your use of the Site that is generated by the cookie (including your IP address) by Google as well as the processing of this data by Google, by downloading and installing the browser plug-in which is available under the following link: https://tools.google.com/dlpage/gaoptout?hl=en. For more detailed information on the terms and conditions of use and data protection, please visit: https://support.google.com/analytics/answer/6004245?hl=en. The information obtained by means of the conversion cookies are intended for the preparation of statistics for AdWords customers using conversion cookies. By these statistics we can find out about the total number of users who have clicked on the advertisement placed by Google and have visited a page to which a conversion tracking tag was added. For more detailed information on the terms and conditions of use and data protection in connection with Google AdWords, please go to: https://www.google.com/policies/technologies/ads/. When you visit the Site, no data is automatically transmitted to social networks (e.g. : Facebook, Twitter). Please note, however, that Weber may provide customer list information you may have provided Weber, to Facebook and other social media networks in order to utilize services such as Facebook’s Custom Audience and pixel services. Once you have directly engaged with the relevant social media website, your use and browsing will be governed by the data protection statements/privacy policies of the relevant providers. Weber takes technical and organizational security measures (such as the use of SSL encryption for certain components of the Site) to protect accruing or collected personal data against accidental or intentional manipulation, loss, destruction or attacks by unauthorized persons. Our security measures are continuously being improved as new technologies become available and following our regular review of our current data security, access and protection practices. Governmental and regulatory authorities to comply with statutory, regulatory and government requirements, including any regulatory and governmental bodies in the United States or other countries that your personal data is transferred to, for purposes such as reporting, risk, audit, controlling and any other obligatory functions and requirements. However, as mentioned above, we will not share your personal data with third parties for direct marketing purposes without your written consent. Your personal data may also be transferred and processed in data centres and servers located worldwide for storage purposes. By providing us with your personal data, you consent to the Weber Group collecting, using, disclosing and processing your personal data including the transfer out of India as described in this policy except where express or written consent is required under applicable law. If you do not consent or wish to withdraw your consent, you may do so by contacting SupportAsia@WeberStephen.com. If we do not receive any notification from you concerning our collection, use, disclosure and/or processing of your personal data, we shall proceed to continue to collect, use, disclose and/or process the same unless instructed otherwise. You have the right to request access to or correction of your personal data. If you wish to access, correct, limit or update the personal data you have submitted to us, or to make any inquiries or complaints about the collection, use, disclosure and/or processing of such information, please contact at SupportAsia@weberstephen.com. We provide individuals with access to their personal data where we believe appropriate, including in situations where you are entitled to access and correct your personal data under applicable laws.